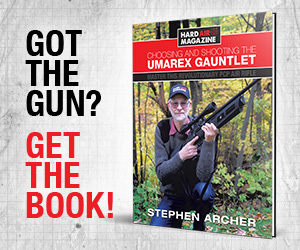 Of course, just about all of us are using riflescopes with our air rifles. 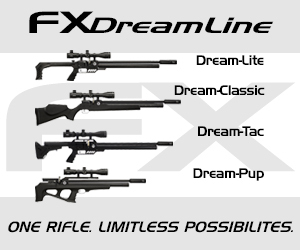 But have you noticed that there are no airgun friendly scope specifications out there? “But wait a minute”, I hear you say. 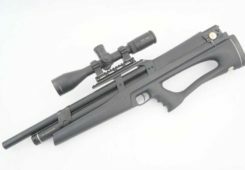 “What do you mean by airgun friendly scope specifications? Well, it’s my contention that the vast majority of us are shooting our air rifles at ranges of 50 Yards or less. Many are hunting. 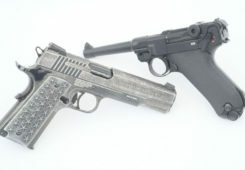 The animals and birds which are hunted with airguns tend to be small. That requires very accurate shooting for an ethical, one-shot kill. 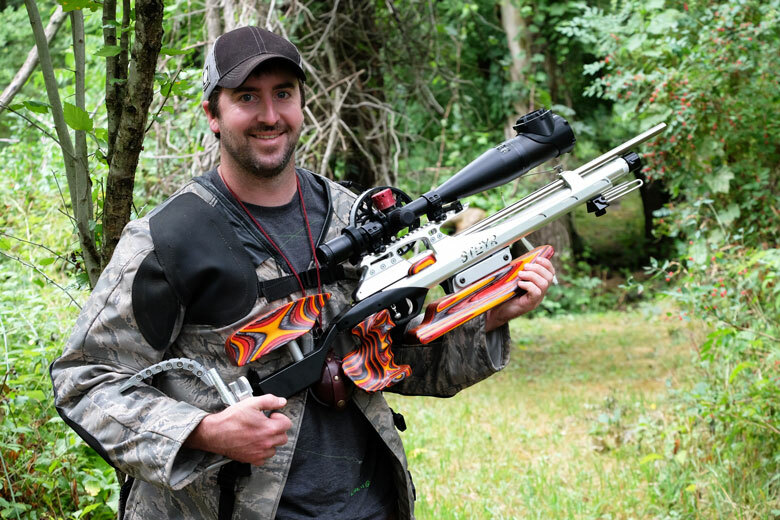 Probably 30 – 40 Yards is more typical – even for expert hunters like Jim Chapman who are great shots. 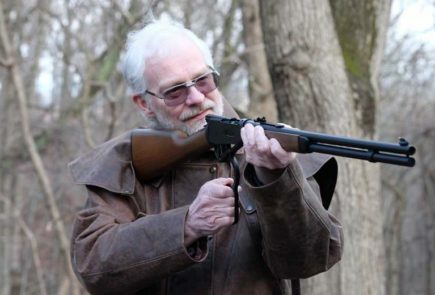 And then there’s all the people who enjoy plinking with airguns. 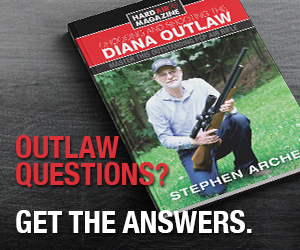 Again, close-range shooting – maybe 20 to 25 Yards – is the norm at small targets. 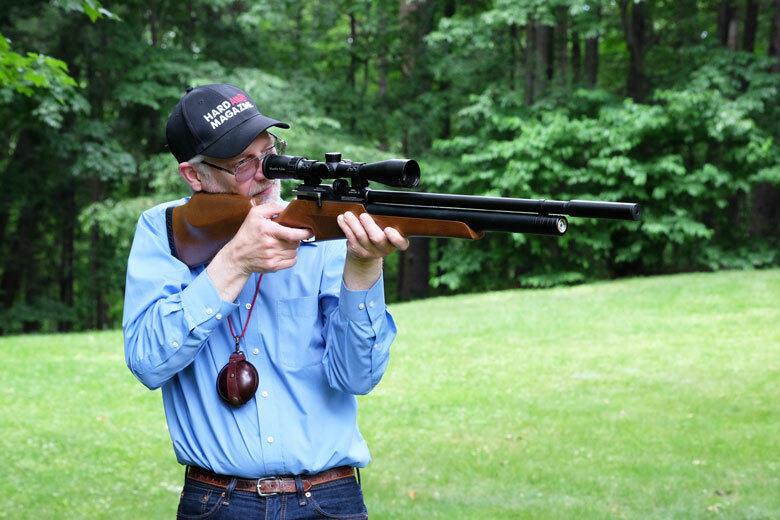 Even Field Target matches are shot to a maximum range of just 50 Yards by outstanding shots with some spectacular equipment – as we see with competitor Bill Rabbitt, below. 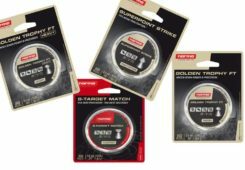 Yes, I know that we all like to see the YouTube videos with great shooting at 100 Yards and even more. 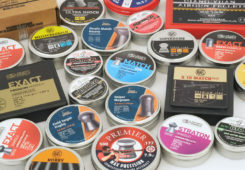 And then there’s benchrest competitions such as Extreme Benchrest, of course, where the finals are shot at 100 Yards. But how many of us actually shoot at these distances ourselves? Not many, I believe. 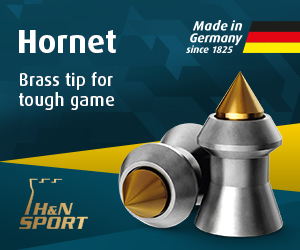 And I’ve seen scope-mounting instructions from one major airgun manufacturer that seriously suggest sighting-in the scope of your new, Zillion FPS, .177 caliber breakbarrel air rife at 100 Yards. What? You have to be joking!!! Finally, all the airgunners I know use hold-over with a graduated reticle of some sort to accommodate changes in range to the target and wind effects. Mil Dots are most common, of course. They’re all using regular second focal plane scopes too. This means that the reticle graduation specs are only valid at one (two, or at the most three) specific magnifications. Let’s clearly understand what these magnifications are and what the graduations represent for airgunners! 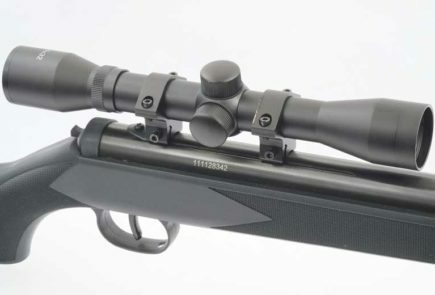 Below, Aztec Optics scopes are among the few which make the magnification(s) for correct reticle use explicit. They do this with a clear red line on the zoom ring. 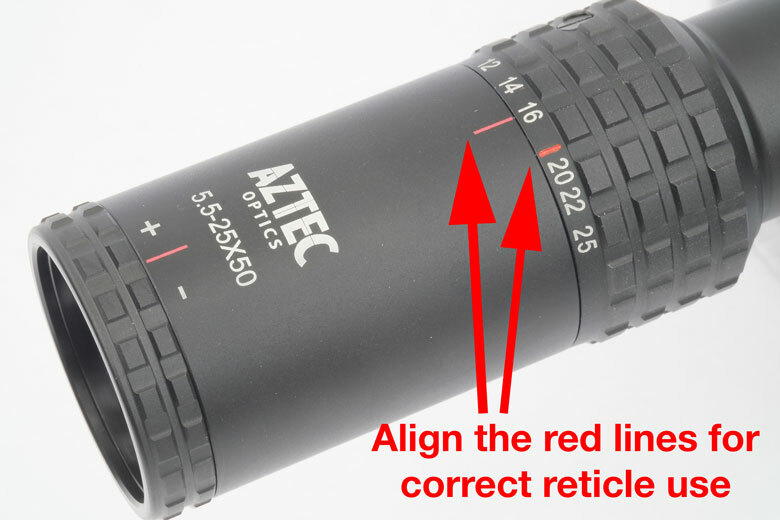 Aligning the two red lines sets the magnification for correct reticle use – to 18x in this case. (There’s another red line at 9x too for use at that magnification). 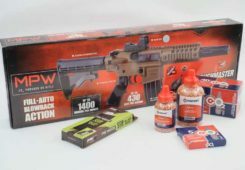 Yes, expert air rifle shooters already know all this stuff. 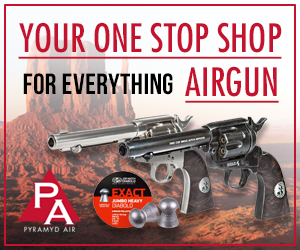 But I’m willing to bet that many – particularly if they are new to airguns – do not. 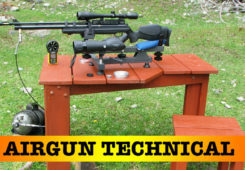 For these reasons, I feel that it’s time to make a push for airgun friendly scope specifications. Let’s see scope specs that bear a closer relationship to the ranges at which most of us shoot and the manner in which we do it. This will give many of us a far better understanding of riflescope capabilities. It will also help all of us make the right buying decisions when purchasing a riflescope for airgun use, especially when there’s such a wide range of products to choose from. Everyone knows UTG scopes from Leapers. 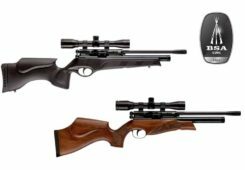 So let’s look at the specifications for two of their most popular models and see how they translate into airgun friendly specs. Note that some measurements are rounded up to the nearest appropriate whole number, for simplicity. The Mil Dot reticle for this scope is designed to be used at 9x magnification. 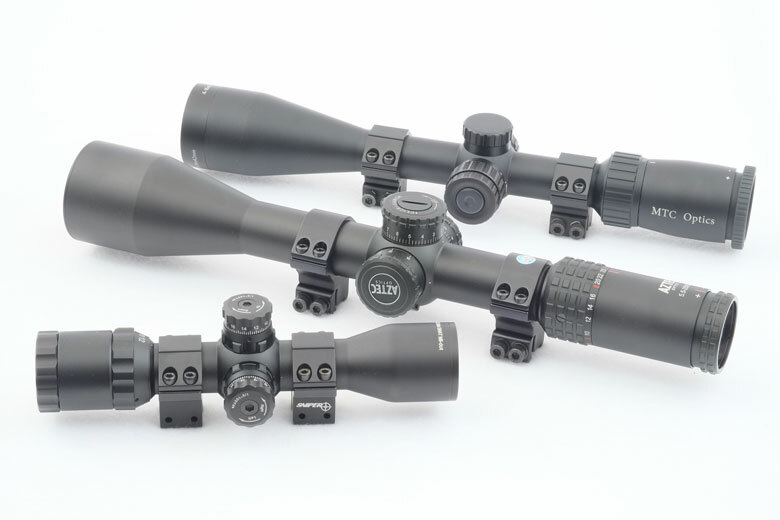 The Mil Dot Reticle for this scope is designed to be used at 10x magnification, but can also be used at 20x and 30x magnifications. 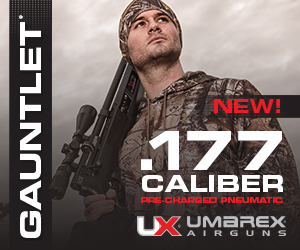 To me, such airgun friendly numbers are much more relevant for our use. What do you think?